The humble avocado single-handedly fuels our generation but while it remains the staple foundation of many healthy meals, one London bar has dared to boozeify the brunch essential for our millennial merry pleasure. The avocado hasn't had the best press in recent times, having been blamed for the reason the millennial generation won't be able to afford to buy a house ever in their lifetime (by a millionaire, might I add). But I come baring good news - brunch just got boozy thanks to one London bar. 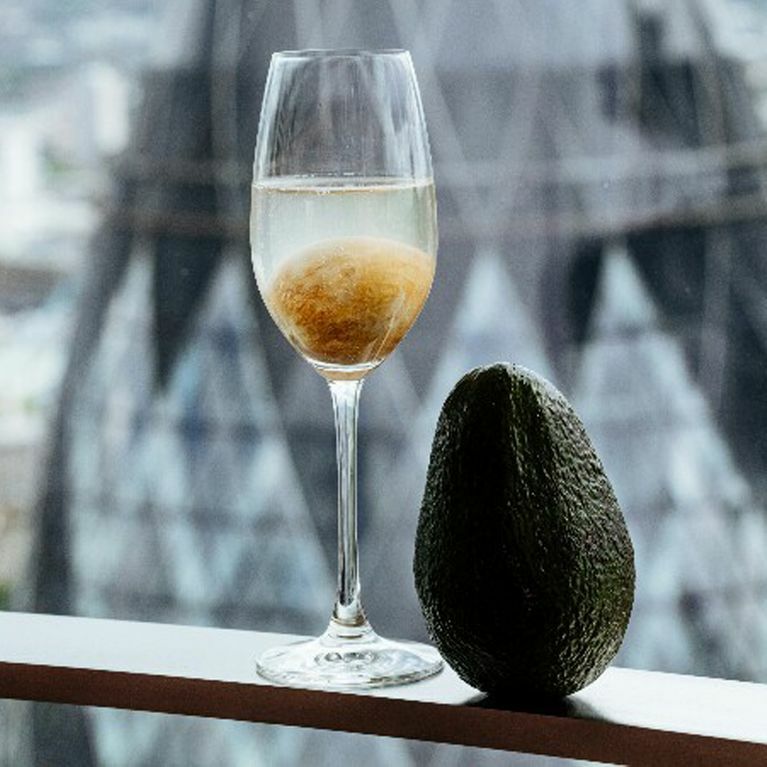 Mixologists at Duck & Waffle - one of the capital's most Instagrammed skyscraper restaurants - are cashing in on the avocado hype to bring you a nutrient-packed cocktail. Admittedly, a little on the expensive side at £14 a pop - forget ever owning a house - the modestly-titled Avocado is a delicious mix of avocado liqueur - made in-house from the pulp, super-dry avocado pit bitters and Bacardi Carta Blanca rum which is topped with prosecco. It's also economical, not that the price suggests, as the stone is used as an ice cube.